Nico Rosberg has survived a stewards investigation that risked seeing him stripped of pole position for the Hungarian Grand Prix. Rosberg’s pole lap raised the ire of many when television replays suggested he had sped through double yellow flags denoting a slow section of the track. FIA regulations state that a driver must “reduce [their] speed significantly, do not overtake, and be prepared to change direction or stop,” but the Mercedes driver set a fastest sector time on the affected part of the circuit. No investigation was listed by the FIA in the immediate aftermath of qualifying, but more than three hours after he took the chequered flag and after the stewards were presented with new information by a third party Rosberg was summoned to race control to analyse the lap. 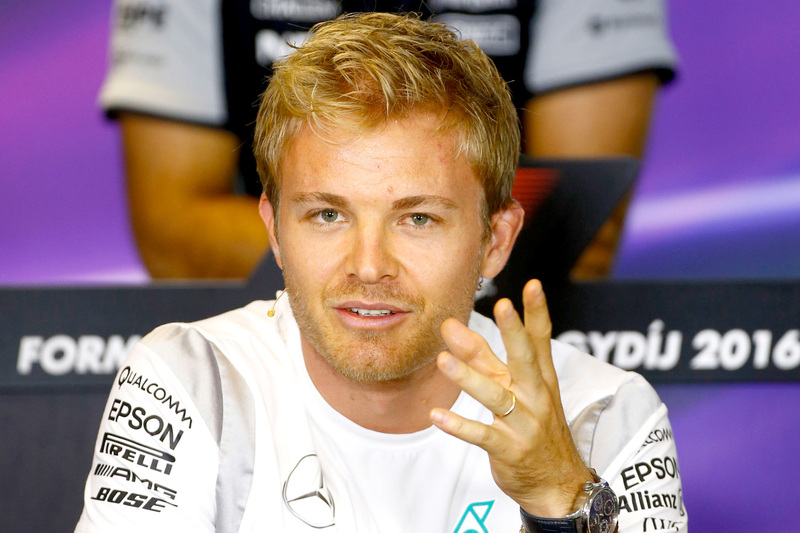 It took 75 minutes for the matter to be concluded in Rosberg’s favour, with no further action deemed necessary. “The telemetry demonstrated that the driver reduced speed significantly into turn eight,” read the statement. Nico Rosberg seemed completely unperturbed by the matter after the race, appearing surprised in his post-race media conference that so many questions were asked about yellow flags. “I wasn’t prepared to be drilled on yellow flags. I didn’t even realise it was a topic!” he said, before explaining his point of view. When asked how much time he gave up to the yellow flags, however, he refused to try to quantify. Mercedes executive director Toto Wolff was similarly assured that Rosberg would have no matter to answer. “When he entered the yellow zone he lifted quite considerably, lost quite some time — you can see this on the data very clearly,” he said. “As he was exiting this yellow zone, there was no yellow any more. As far as we’ve seen in the data, it should be okay. When asked about how the yellow flag rules might be better interpreted, Wolff said it came down to trusting the drivers. Rosberg’s Mercedes teammate Lewis Hamilton was less satisfied with the lack of immediate investigation after the race after losing his shot at pole position to the same yellow flags. “It’s not a case of accepting it, it just needs to be clarified now for all us drivers to fully understand the yellow flag situation,” he said. “The way that it’s written is not potentially how it’s interpreted, whether by the stewards or the drivers. More clarification would be good. “The clarification that’s needed is, [as] Nico only lost a tenth through the corner, if that’s really what we’re allowed to do in future — even though you lift and approach the corner with due care, if that’s allowed on double yellow. I thought that was the case on single yellow, but on a double I thought you had to pay more caution to it. The matter of yellow flags has found renewed place in the public consciousness since Jules Bianchi’s accident at the 2014 Japanese Grand Prix, which a subsequent FIA inquiry found was the result of driver behaviour, in particular not heeding the waving of yellow flags sufficiently.